Fluid design lines make the Forté faucet a versatile addition to your kitchen decor. A high-arch, pullout spout offers convenience for washing bulky items, while a single lever handle allows you to turn on the water and find your ideal temperature in one move. The included escutcheon covers the base of the faucet for a complete, refined look. The variety of choices here is (almost) overwhelming, the prices usually unbeatable, and the delivery process effortless and efficient (and FREE, on this purchase!). 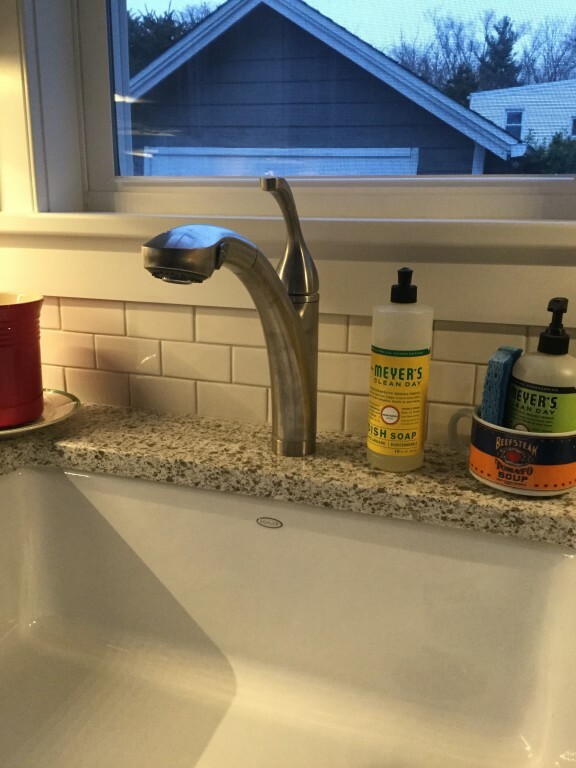 The Forte stainless kitchen faucet itself is solid, well-designed, and effective. We have not experienced any flow-rate complaints, as some reviewers have complained. Very attractive and backed by Kohler's industry- leading warranty; we are happy Faucet Depot customers!